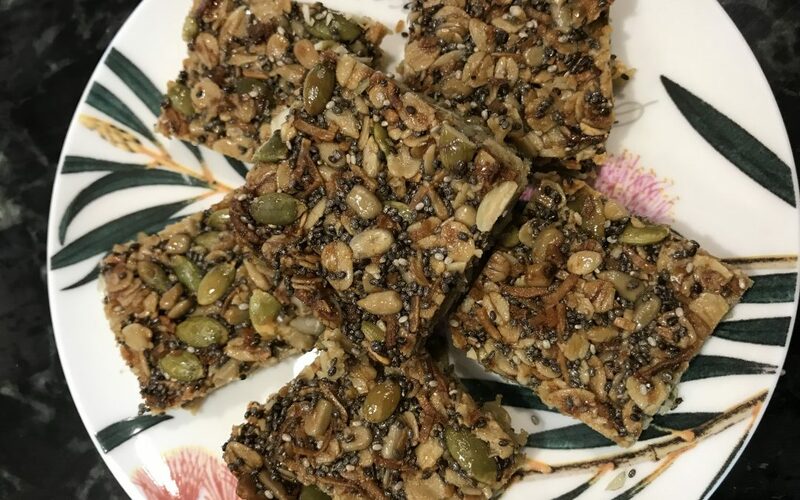 This simple muesli bar recipe is tasty for the whole family. It gives you confidence knowing what is in the food you are eating. Have the children join in to make this one, sharing the love. Preheat the oven to 160 degrees and line a baking tray with baking paper and set aside. 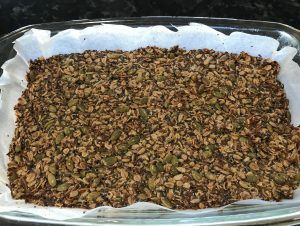 Mix oats, pepitas, sunflower seeds, chia seeds and coconut in a bowl and set aside. Remove from oven and allow to cool COMPLETELY on tray before moving them. This allows them to set. Cut into 12 bars & store in airtight container if they last that long.